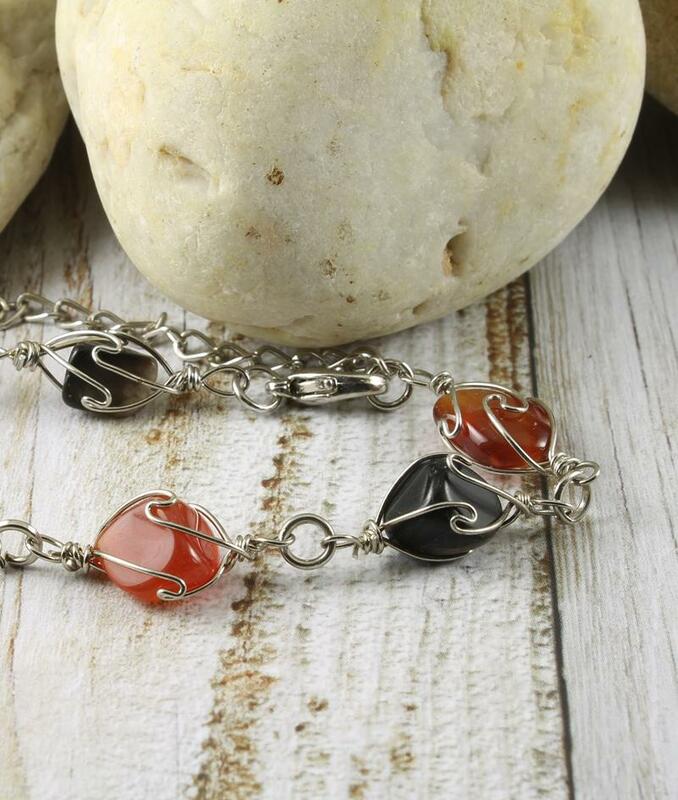 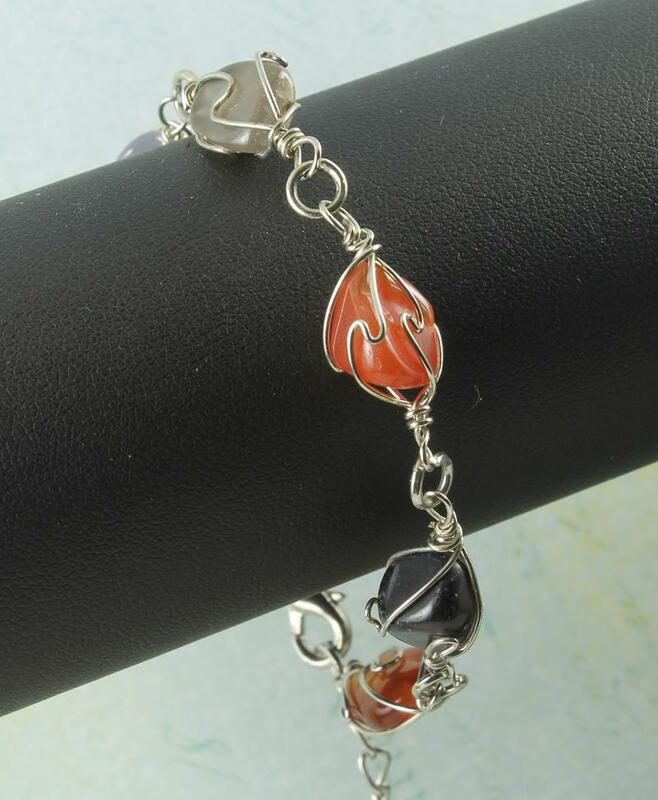 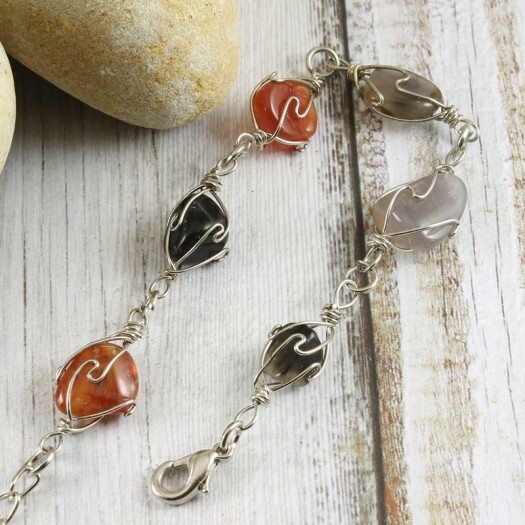 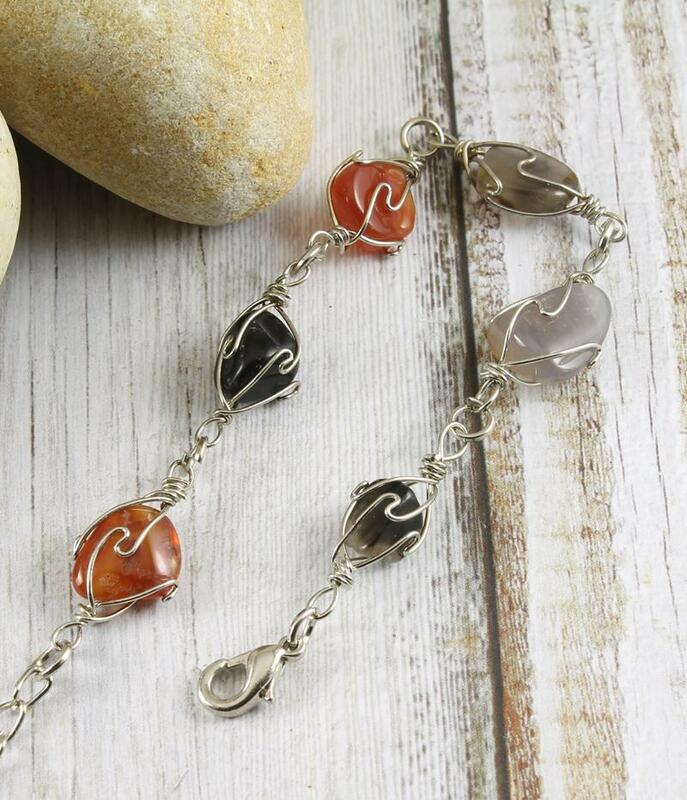 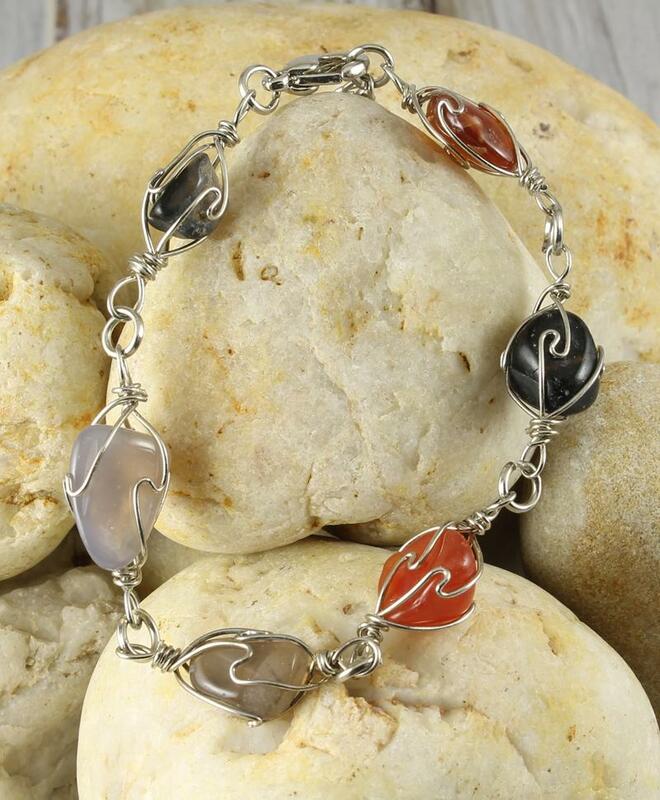 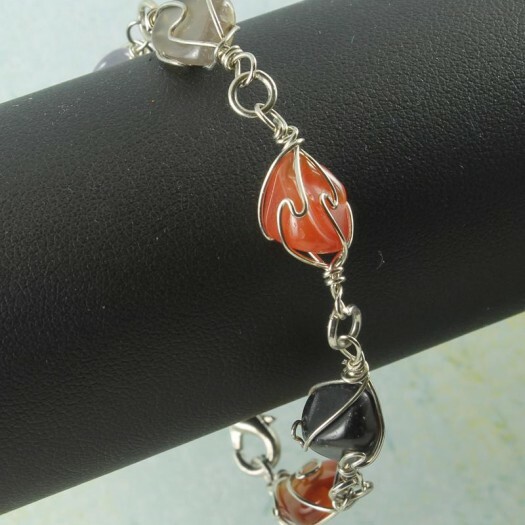 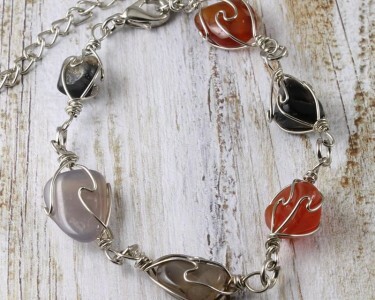 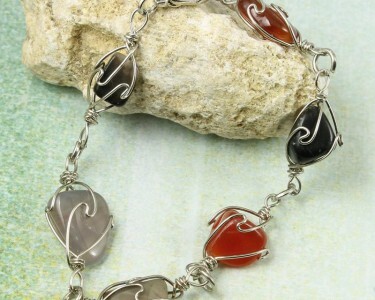 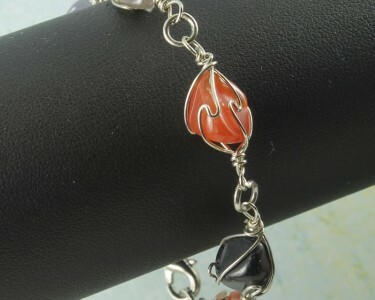 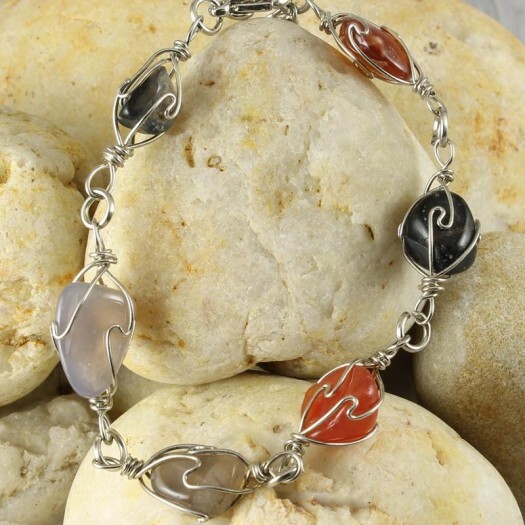 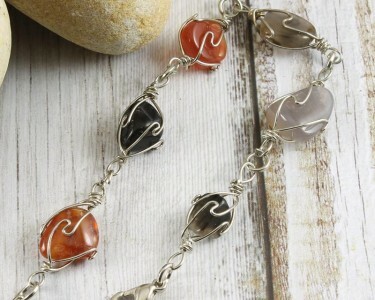 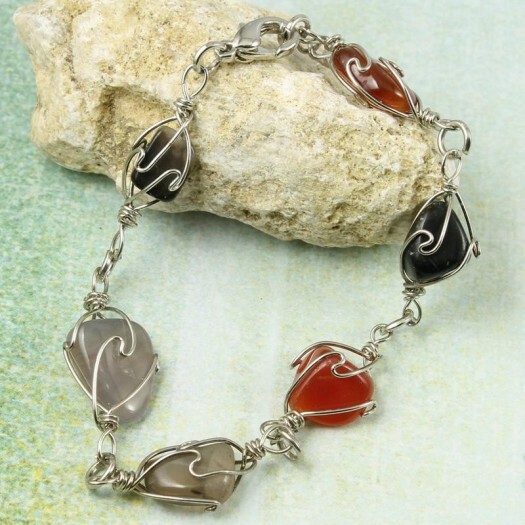 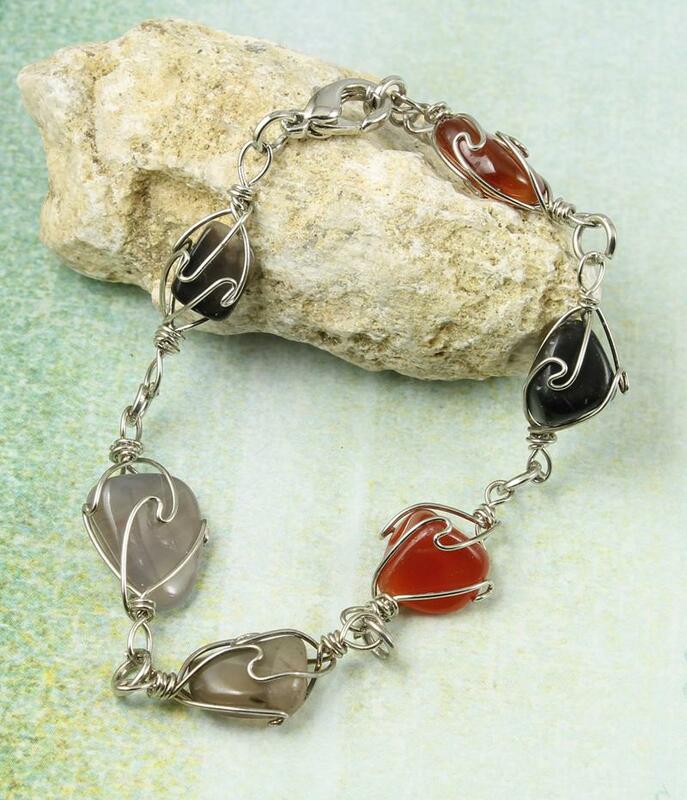 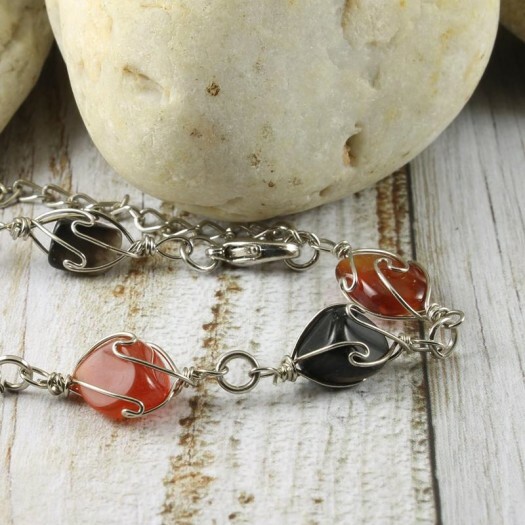 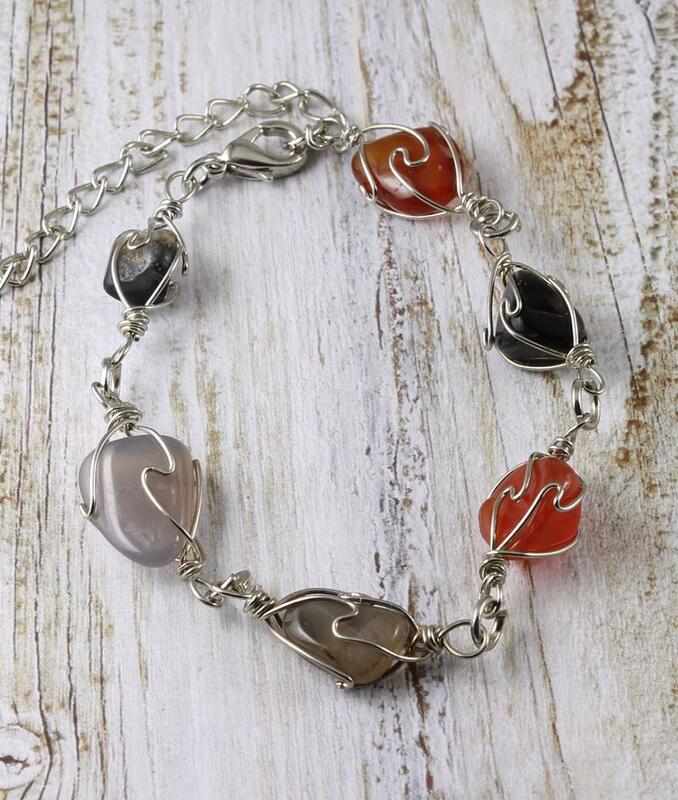 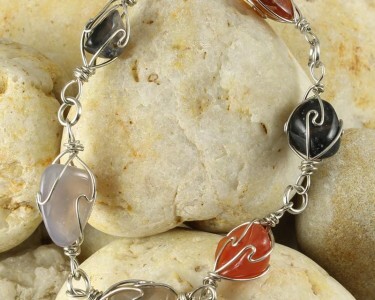 This alluring and intricate bracelet comprises 6 wire-wrapped polished Agate gemstones in muted Autumn (Fall) tones, fastened with a lobster clasp with extender chain. 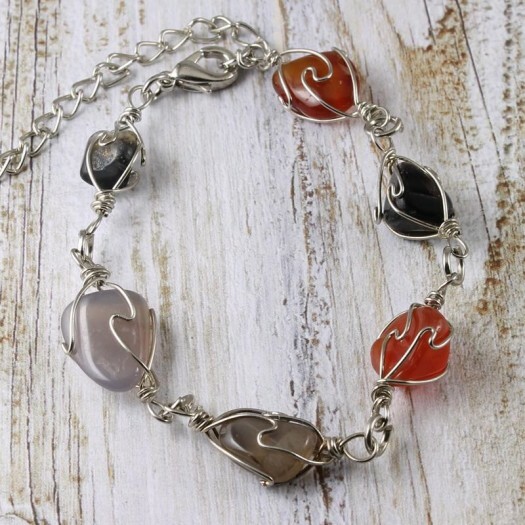 Wear It With : A highly affordable, delightfully-crafted bracelet with a subtle colour scheme that will create admiration and interest from your captive audience. 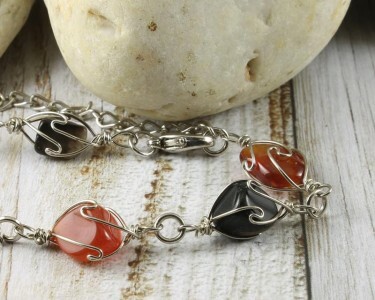 It will go very nicely with black, white, browns, and greens, and of course with your denims, and it will provide a wonderful match to other jewellery in complimentary shades.